The single serve/single cup coffee maker is considered by many java lovers as one of the best innovations in the industry. It is practical, convenient, oftentimes affordable, and it allows coffee enthusiasts to have a cup of brew anytime they wish, anyplace, without sacrificing great flavor. 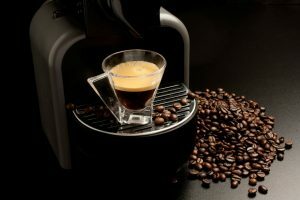 These days you will discover the multitude of available single-serve models on the market, and it can be a bit difficult finding one that will suit your lifestyle and preferences. But no worries, we have that covered by providing coffee maker reviews. 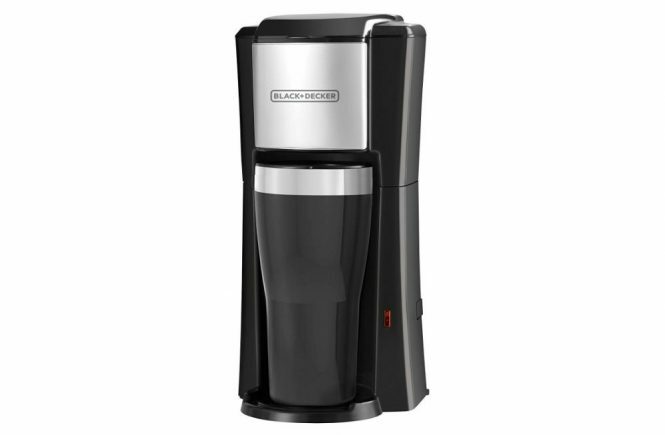 Let us start with Black+Decker’s CM618 Single Serve Coffee Maker. 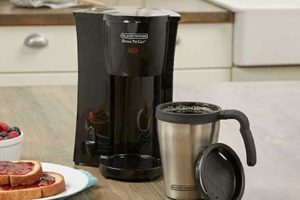 A company trusted by many, Black+Decker has added the single cup coffee maker to their list of products. This is the perfect accompaniment for individuals with busy, active lifestyles. Don’t have enough time to brew yourself a coffee each time? 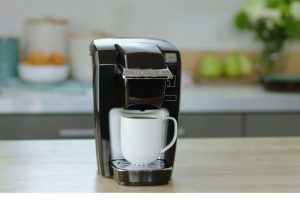 Then you should try the Black + Decker CM618 Single Serve Coffee Maker. 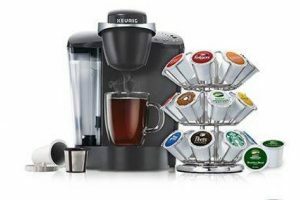 The unit can manage ground coffee and prepackaged pods. Either of these items can be brewed straight into the thermal mug that is included. This thermal mug fits a majority of vehicle cup holders too. It has a convenient single-touch operation and it also includes features like a removable filter basket with a permanent filter. Making coffee in the mornings will be a breeze if you add this nifty piece of machinery to your kitchen or office. Apart from that, the unit has dishwasher-safe components and automatic shut-off too. 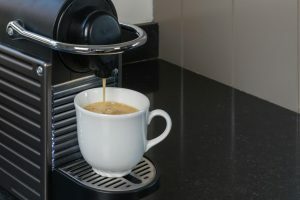 It is meant to be an advantageous coffee maker for individuals with hectic, active lifestyles, and people who travel for business or pleasure. The insulated mug is capable of holding 16 ounces of coffee and keeping it warm throughout. The unit has a simple one-touch control panel which makes everything accessible and easier to manage. In addition, it can shut off automatically to avoid the threat of overheating. It does not require the use of a paper filter, thus it will help you save money in not having to purchase replacements. You can consider the item a green coffee maker, we think, since you will not be using paper filters. One of the best things about the unit is the fact that it has dishwasher-friendly parts, so cleaning them in the dishwasher is safe. According to a number of customers, they were also glad that the unit includes a 2-year warranty. For personal use, this model is worth your money. You won’t have to deal with brewing coffee for a lot of people, and this leads to less coffee waste. You won’t have to put up with waiting for the brewing process to finish. Last but not least, you won’t have to leave a lot of coffee in the pot for a long period of time. 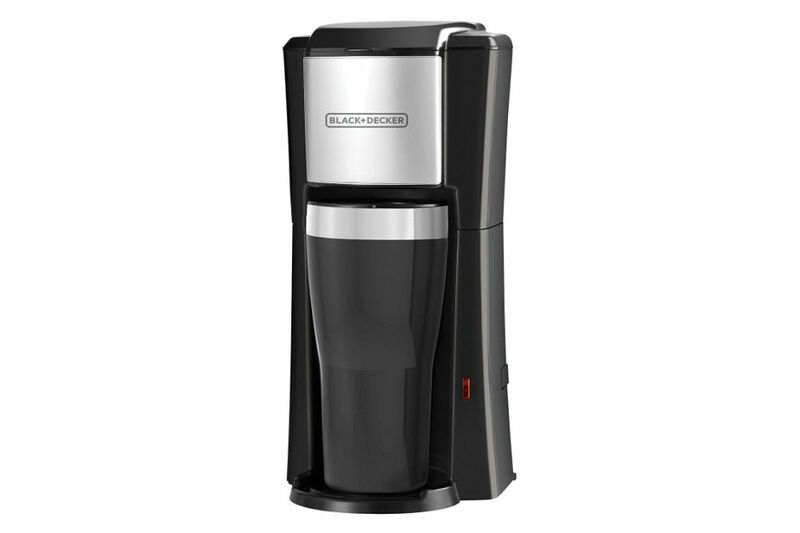 With the single serve CM618 from Black+Decker, you can have a cup of freshly made coffee fast and easy, anytime. Because this is meant to serve a single cup only, the unit is not ideal for a household that has a good number of coffee drinkers. This is also important: The unit comes with the Proposition 65 warning meant for California residents. This means that the unit includes chemicals and that exposure to these chemicals beyond threshold levels can be harmful to your health. 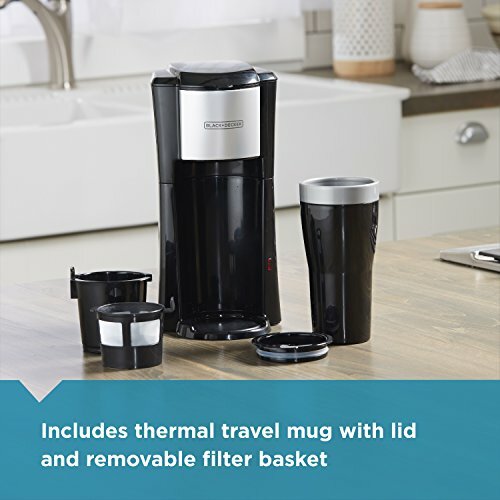 The Black + Decker CM618 Single Serve Coffee Maker has a compact size that is ideal for travel purposes. 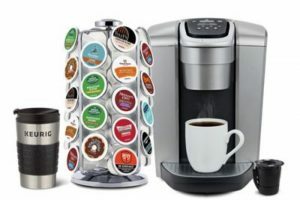 It has a 16-ounce travel mug which is capable of handling enough quantities of your favorite joe. It has a removable filter basket, as well an automatic function to prevent overheating. Hence, using this one is safe. The cup can fit nearly all car cup holders and is a snap to clean. Truly a good buy, and if you are in search for a quality single serve unit, this one works. Use this excellent unit every day or take it with you to the office or on your frequent travels so you can always have a fresh cup of coffee.